No, there is no resuscitation needed for Jasmine Moore's high school career. 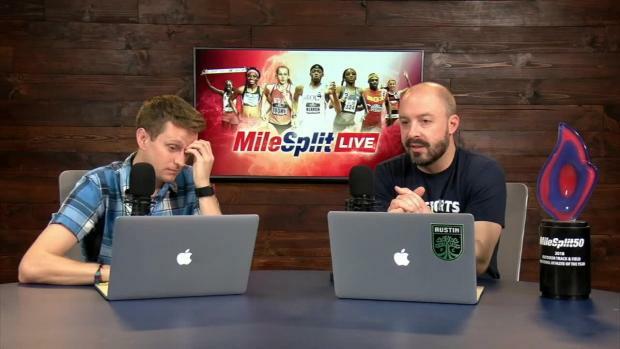 While the Mansfield Lake Ridge senior has been quiet during the 2019 indoor season, it was by design -- there is nothing wrong. The jump star has spent half of this indoor season working on her speed and saving her jumping legs for when it counts. The time that counts could be now. This weekend, we saw her triple jump for the first time this year, and oh boy was it worth the wait! 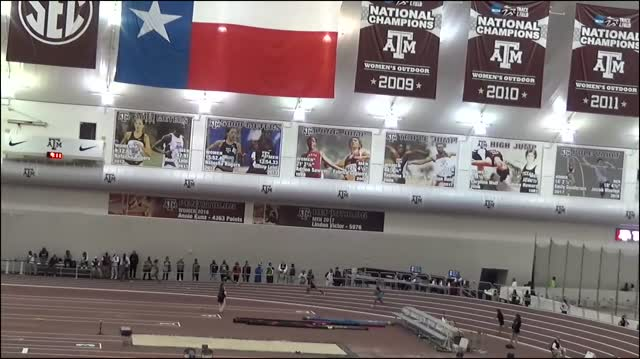 Moore jumped an indoor PR and US #1 43-00 on her last jump. However, it was more than just the 43 on her last attempt that was impressive. Perhaps to find out how dominant her day was, just see that her shortest jump of the day was 42-02. That is 4.25 inches further than the previous US #1 triple jump in the country. The 43 jump moves Moore to #6 EVER and the #2 Texan! 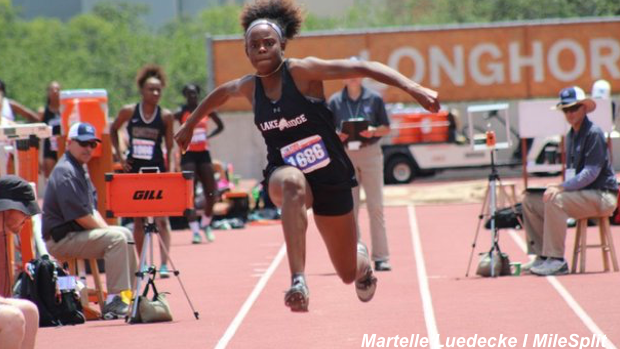 Moore also has 2019s #2 Texas long jump with a 19-4.75 from her only competition at the Texas Tech Under Armour High School, which also ranks her #7 nationally. 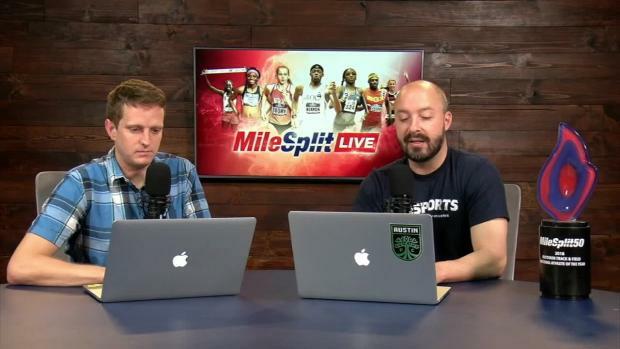 No doubt, Moore will go to New Balance in March to defend her Indoor National title next month. 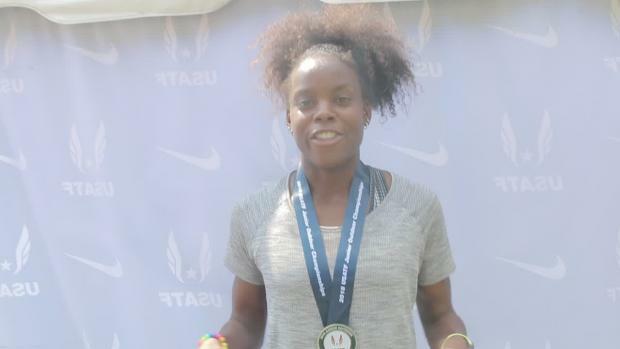 The significance of that is that we could also see her go all out for the US All-Time #1 mark of 44-6.75, which was set by Ke'Nyia Richardson, (Oakland, Ca) in 2007. That mark is also the Senior Class Indoor National Record. 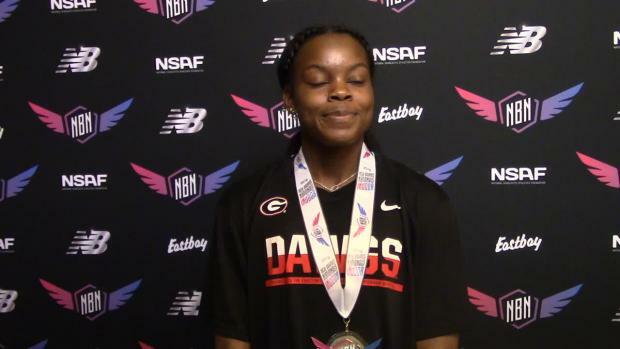 Moore has every girls triple jump national record except the Freshman Class National Record and the Junior Class Outdoor National Record. She didn't get a chance to go for the freshman record because she did not compete that indoor season. 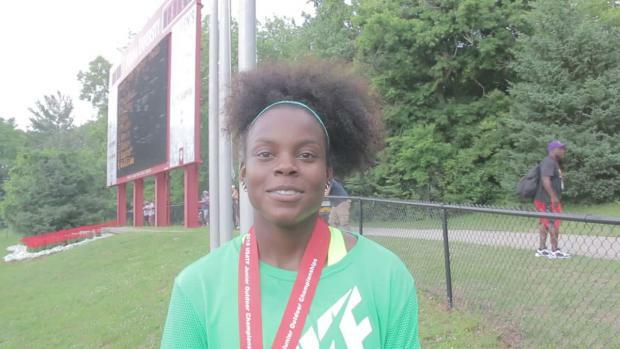 The junior outdoor record eluded her as a 45-4.75 jump at the state meet was ruled to have too much wind for her to legally take down the 44-11.75 mark. Moore is one of the best girls high school jumpers of All-Time and there is still time for her to continue to re-write history as a senior.